WZ Daily 10.25.18: Can Evolution live up to historic expectations? WZ DAILY streams LIVE on Facebook right around 5pm CST Monday-Thursday where 101 WKQX’s Kevin Kellam and the WrestleZone team take on the wrestling topics of the day, answer your questions as they pop up on screen, and much more fun. 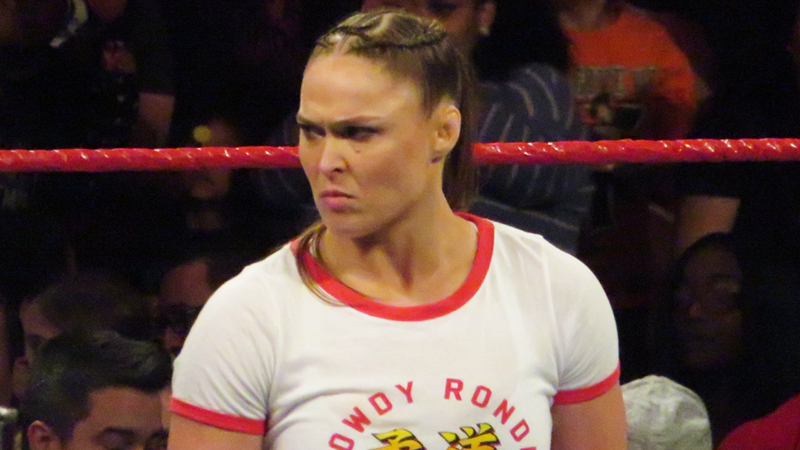 Comedian Alydar Skyy joins the Daily with WZ’s Robert DeFelice with some very hot takes on this Sunday’s long-awaited Evolution all-women’s WWE pay-per-view. Can the show meet the expectations? Kellam tells you what Mae Young Classic match stood out the best. Some very controversial speculation on Raw Women’s Championship match between Ronda Rousey and Nikki Bella. Plus some fans sound off how low on the card Asuka, Ember Moon, and more nerd-gripes. And what’s this about a potential all-women’s regular series on the WWE Network? The crew also covers WWE’s call to keep Crown Jewel in Saudi Arabia and the tension around that among fans. Plus we bolt through a round of “Who Should Turn Heel?” with AJ Styles, Daniel Bryan, John Cena, and others.